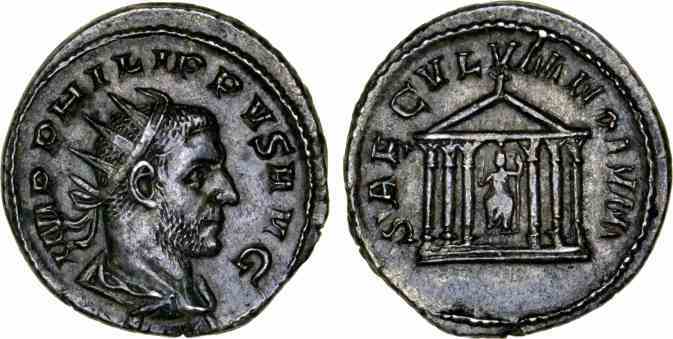 Silver antoninianus, 22mm, 4.35gm, issued AD 248. Rome mint. References: Sear 8963, RIC 25b, RSC 198. Commemorates the celebration in 249 of the 1000th anniversary of Rome's founding.